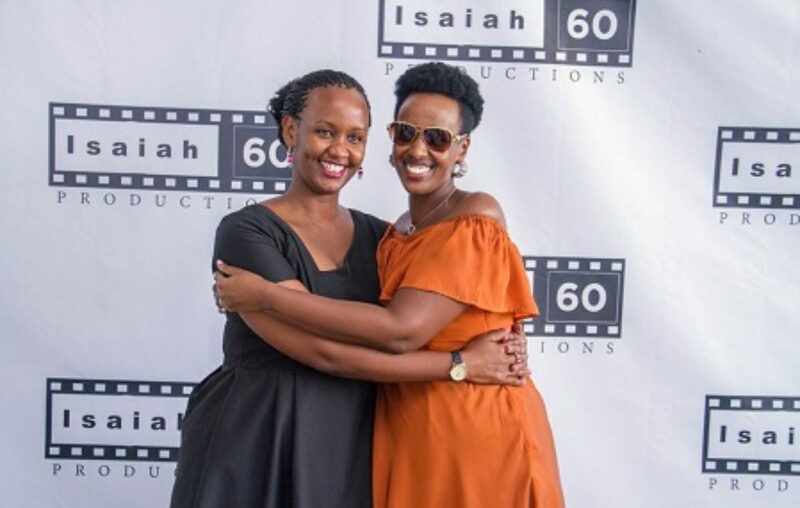 Unless you’ve been hiding under a rock, you should have already heard or seen something related to the action movie, 27 Guns, which was written and directed by Lynette Nyinancwende Kainembabazi popularly known as Natasha Karugire Museveni. 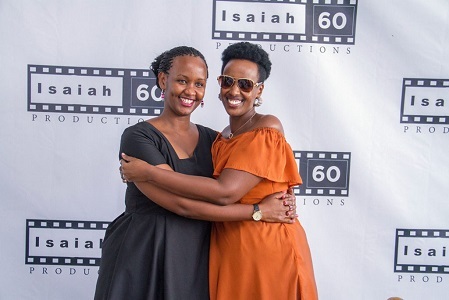 The adventure biopic, which feature’s Natasha’s younger sister, Diana Kamuntu, tells a story of their father’s (Yoweri Museveni)-led liberation struggle that commenced on Feb. 6, 1981. (Diana plays her mother, Janet Kataha, in the movie). ‘27 Guns’ also used the talents of popular radio personalities: Cleopatra Koheirwe, who played Alice Kaboyo and Kenny Katuramu, who personified Pecos Kutesa, both crucial characters in the success of the guerilla war. The film was first showed to the public at Metroplex Cinema, Naalya in Kampala on September 2, 2o18. The colorful ‘27 Guns’ premiere was graced by President Museveni; his wife, Janet, and other liberation struggle heroes like Gen. Elly Tumwine and Gen. Jim Muhwezi. Like any other work of art, when the movie was rolled out, mixed reactions were spilled through different media: some gave positive reviews and others poured down extremely negative feedback. The reactions dramatically grew when it was aired on UBC TV and made available for purchase to the public. One of the most outstanding reviews was from Kitakka Ssemutooke, a writer and editor, who said the plot of the movie showed great lack of imagination from the crew that was involved in its production and direction. This was after a scathing outpouring blamed him for being part of what the public has said was a horribly executed movie. Natasha Karugire didn’t start out in the movie industry. What’s for sure is that she was drawn to the creative industry at an early age, which drove her to travel to the United Kingdom to study Fashion Design and Marketing at American College in London after completing her ‘A’ level at Mt. St. Mary’s College Namagunga. When she returned to Kampala, in 1998, she started a fashion brand called House of Kaine (from Kainembabazi.) She recently changed the fashion label to J&Kainembabazi. So, when she was recently hosted by Cedric Babu on his show at UBC, he asked her how she segued from fashion to the movie industry and started her own film production company, Isaiah60 Productions, which she co-founded with her cousin Esteri Mugurwa Akandwanaho, daughter of Salim Saleh. According to Natasha, she was watching the footage “with a few friends” who were younger than her. And as the footage unfolded, the friends became more curious and interested, and a stroke of genius and good luck hit her. “… But somehow it was like God has just planted a seed in me,” she told Babu. Natasha Karugire says when she finally summoned her courage and revealed to her friends that she was going to do a movie about the liberation struggle, most of them told her it was not possible. But she wasn’t ready to give up without a fight. Afterall it was not the first time she was coming up with a controversial idea: at the time she joined the fashion industry, it was inconceivable for a person from her type of family to take on such an endeavor. “The more people thought it was not possible, the more I was driven to tell the story,” she said. In April of 2016 the forty-three-year-old fashion designer started penning the script and by October, she was through. The next step was to turn the script into a motion picture. “I looked for support and direction and help,” she says of the hunt for producers and directors. Natasha first pitched international film companies and she says most of the feedback was discouraging and dispiriting, especially people who questioned why she was the one telling the story instead of someone outside of the family or away from Uganda. According to her, she didn’t like the idea of wholesomely handing over a project that tells Uganda’s or Africa’s history to a foreign agent who could end up twisting the plot. “… and any tweak in history can be so detrimental,” she argues for her decision. After failing to harmonize with foreign firms, Natasha Karugire turned to the local market. A series of skepticism and disheartening comments later, she was able to find the right people to work with. When Babu asked Natasha if she would do another movie, she firmly responded: “Absolutely”. She also confirmed that “there’s some stuff in the pipeline”.